People going to mass at one of the most famous churches in the Philippine capital over Christmas were met by a disturbing sight: poster-size pictures of Filipinos dying in pools of blood. The shock Baclaran church exhibit was part of a campaign by one of the nation's oldest and most powerful institutions to stop the killings under President Rodrigo Duterte's war against drugs, which has claimed about 6,000 thousand lives. "The Church right now is asserting its influence, that's why in the coming months the Church will be at the forefront in leading against extrajudicial killings," Jerome Secillano, public affairs chief for the Catholic Bishops Conference of the Philippines, told AFP. The Catholic Church, counting eight out of every 10 Filipinos among its flock, wants the Duterte presidency to succeed, but would be remiss in its moral obligation to protect life by keeping quiet, according to Secillano. "(The drug war) is not any more in accord with the legal processes, and the moral norms are being violated and so now is the time for the Church to speak up," he said. 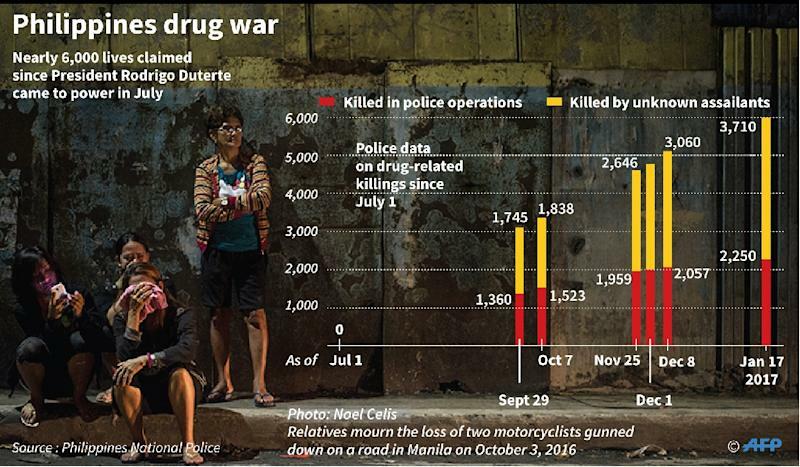 Duterte was elected in a landslide last year, after vowing on the campaign trail to eradicate illegal drugs in society by killing tens of thousands of people. Duterte has made no apologies for the killings, saying he would be happy to "slaughter" three million drug addicts to stop the Philippines from descending into a Latin American-style narco state. While Duterte's crackdown has been condemned by human rights activists and some Western governments for allegedly unleashing a wave of extrajudicial killings, the president has retained huge support from Filipinos hoping his strongman style will fix crime, corruption and other intractable problems. With such support and also because of various intimidation tactics, few politicians or other influential people have spoken out. For months the Church, which played a leading role in the ouster of dictator Ferdinand Marcos and corrupt president Joseph Estrada, also held its tongue. Church leaders said they wanted to give Duterte, who won the May elections by 6.6 million votes, a chance to implement his programmes and make the Philippines a safer place. They had also hoped to influence him quietly, holding a series of private meetings with Duterte and one of his top aides, according to Manila priest Atilano Fajardo, who is now helping to lead the Church's campaign against the killings. Meanwhile, some priests and bishops, like ordinary people, were too scared to speak out, according to Secillano. "Not too many churches and people are actually keen on speaking up against these killings because of fear," he said. To start the pushback, Archbishop Socrates Villegas, president of the bishops conference, issued a pastoral letter to his flock in October. "I can no longer give a word of condolence to the bereaved families because I also need to be assured even a bit that things will get better and not become worse." In a Christmas message, Manila Cardinal Luis Tagle, the country's highest-ranking Church official, lamented Filipinos losing their sense of "hospitality", in what was seen as a criticism of the killings. "Why is there room for destroying lives but minute space for saving them?" Tagle said. 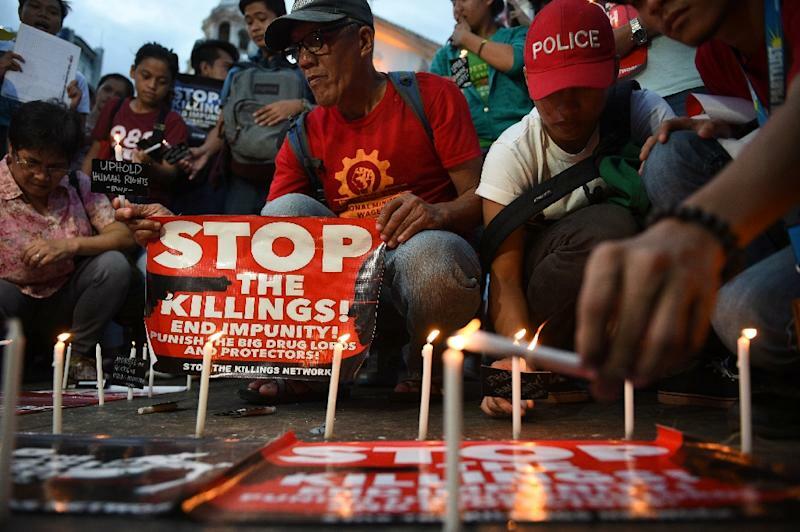 Some churches around the Philippines have since put up banners denouncing extrajudicial killings, while priests have helped to organise relatives of the slain into a watchdog group called Network Against Killings in the Philippines. Over the coming weeks, the Church also plans to train widows and other female relatives of men killed in mainly slum communities to document the deaths so they can bring criminal charges against police. Church leaders take pains to emphasise they have not given up on Duterte and they are not campaigning against his rule, just the killings. "Prayer can move mountains. We believe that Duterte can still change his position, so we need to pray," Fajardo said. What impact the Church campaign against the killings will have on government policy remains uncertain. But it is taking heart from a fresh survey showing eight in 10 Filipinos now fear they or their friends could be next to be killed. "When you speak to people on the ground, there is a lot of fear... many people, especially the urban poor, feel that anybody can be tagged and killed," Manila bishop Broderick Pabillo told AFP. 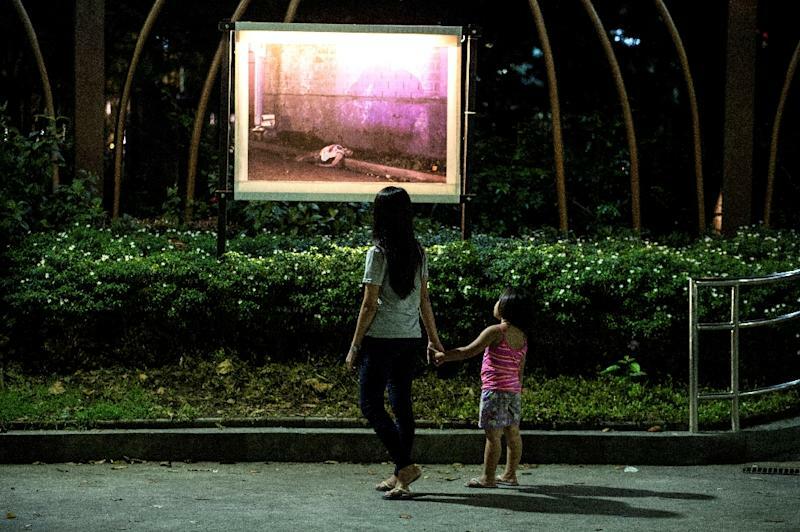 Visitors at the Baclaran photo exhibit who agreed to speak to AFP were generally hesitant to criticise the government but said they had seen enough. "What is happening is horrible. They should not be killing defenceless people," said churchgoer Gina Loranza, 48.